Just when the much-awaited summer biggie, Katamarayudu, is all set for a record worldwide release in a couple of days, a case filed by the All India Moviegoers Consumer’s Association is marring the celebrations to an extent. 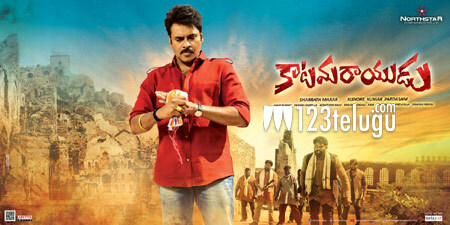 A handful of members belonging to the association alleged that the makers and distributors of Katamarayudu have hiked the movie’s ticket rates from Rs.10 to Rs.50, Rs.50 to Rs.200 and Rs.150 to Rs.500 with the greed to collect more than 30 crores in the first two days itself. The members further alleged that Pawan’s only agenda is to blackmail governments and loot the common people. The petitioners also complained against Katamarayudu’s benefit shows’ tickets being sold for Rs.2,000 to Rs.5,000.